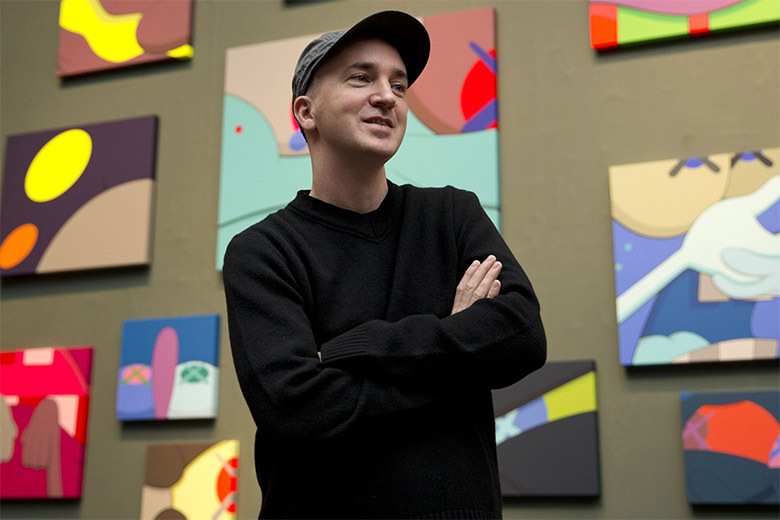 If 2013 was a period of transition for Brian Donnelly – widely known in the art world as KAWS – then new avenues have defined 2014. After decidedly closing the door on OriginalFake last year, KAWS set out on a creative charette of sorts, furiously generating enough work for six major exhibitions everywhere from Hong Kong to the French West Indies. Over the course of this period, the artist not only breathed new life into his iconic Companion character with a larger-than-life sculpture, but expanded on his colorful, collaged aesthetic through various paintings. Although a household name in street culture, the next year looks to push KAWS to even new heights as a fine artist – the next chapter of his illustrious career.